Before we left, what expectations did I have of camp? Prior to leaving, I first felt a weak feeling of dread, which was quickly overpowered by a sense of excitement and eagerness. I admit I imagined caving would be in large underground spaces rather than lots of small tunnels where you had to squeeze through. Unfortunately, I had absolutely no expectations of leeches whatsoever so they caught me by surprise. I was thinking the hike would almost kill me, and I was anticipating lots of hills. I was also expecting a lighter pack, but unfortunately carrying 5kg of water. What did I like/enjoy about camp and why? Camp was absolutely incredible. Challenging, yes, but still incredible. I could go on forever, but there are a few things that really stood out for me. Caving was undoubtedly one of the best experiences I’ve been lucky enough to have. It was like there was a whole hidden world beneath the surface, which, had I just been driving through the ranges I would never have noticed or discovered. I experienced no claustrophobia as I was too caught up in the moment. Hiking was a whole new factor of camp; sure, the leeches kind of put me off, but the scenery was beautiful and it was great to be amongst nature. Well, not amongst leeches. Both nights I was a little sick, but the feeling of accomplishment after the 12km hike and caving was 110% worth it. Additionally, just sitting by the campfire itself was enjoyable, conversing with everyone after an interesting first day. It was also really interesting to meet so many more people and forming a kind of bond where we all have each others backs. Scenery. I could go on and on forever like an idiot about how amazing the scenery, but I think this photo just about says it all. I don’t know who took it but WOW. What did I not enjoy about camp? Answering this is extremely difficult. The physical effort required on the hike was exhausting, but like I said, when it was over I was proud and it was really a great moment for me. This next part, the camp obviously had no control over. Logging. It was a truly depressing thought- trees cut down to suit our purposes. I find that quite selfish taking incredible parts of nature and killing them. 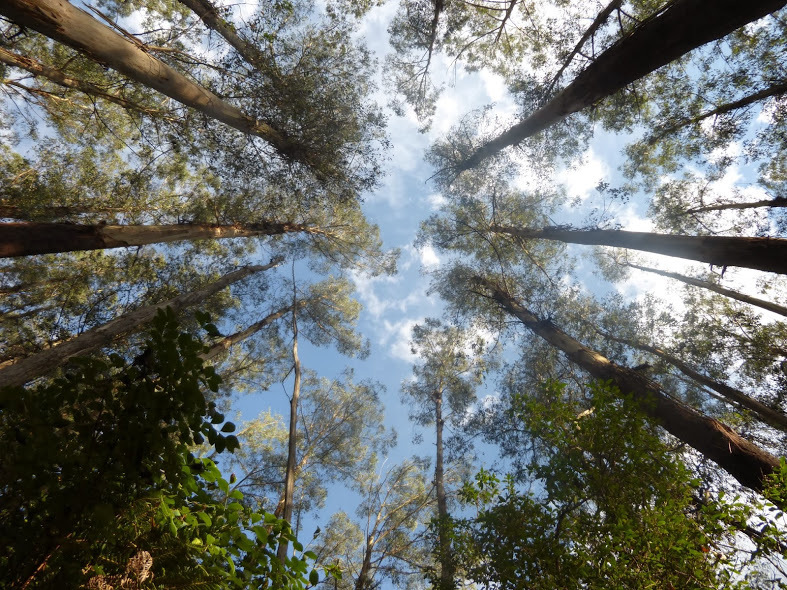 The thought weighed me down even more after the hike, having experienced nature, having been a part of nature. 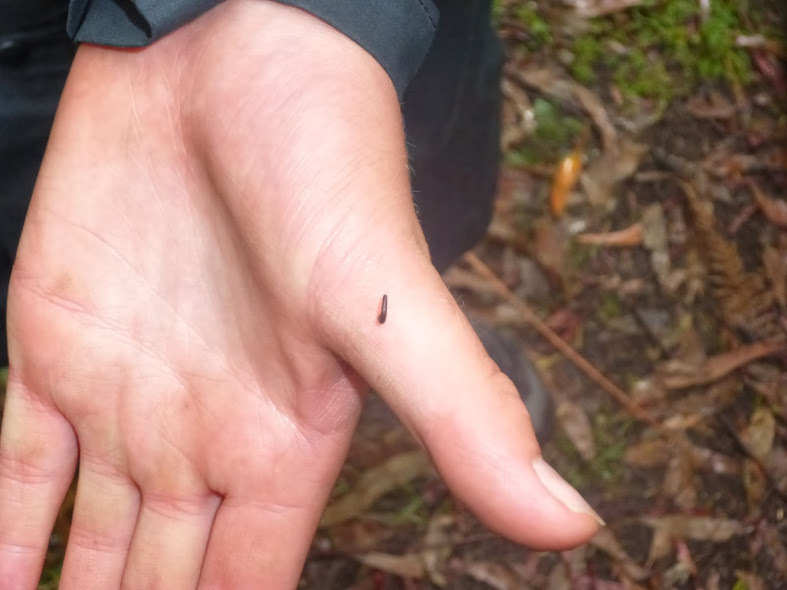 Speaking of nature, one of the not-so-nice things that I find pointless and annoying would be the bloodsucking worms that we call leeches. What did I learn while on camp? Despite the fact that patience, persistence and determination were not any of my learning goals, these qualities were improved and I’m grateful for that. It was definitely the hike that demanded these qualities; had I possessed none of these, I would’ve ended up getting absolutely nowhere. In terms of people themselves, I got to learn a lot more about the people I was stuck with for a whole day and their backgrounds and personalities. I was also extremely grateful for being the lucky group who got the toilets. It may have been emitting a horrible stench, but on the whole it was still a toilet and that is something I’ve learnt to appreciate. On the point of appreciation, I also learnt to appreciate the water I use, which I really noticed when I took a shower when I got home. Additionally, I felt appreciate the things we didn’t have. What would I do differently if I were to go again? If I were to repeat this camp, I think I would triple check how many clothes I bring. I brought an extra pair of leggings and a shirt, which turned out to serve no purpose but to take up space. I would also do my best to be a little more organised in terms of my hiking pack. Reflect on your highlights and any personal challenges that you overcame – what aspects of these experiences do you think you will carry into other areas of your life? As I mentioned before, I definitely developed my determination skills which are essential when you have a goal to achieve; be it ‘I’ll climb this mountain’ or ‘I’ll get a better score on my English test this year’, they all require determination and I think having improved my sense of determination will help me a lot in the future. I had many highlights, or rather, the whole camp was one huge highlight. I felt extremely lucky to have gone caving and to have entered what was for me, a whole different world. The hike was also a highlight for the most of it, but especially after having taken the last step and feeling that sense of relief wash over me. However, I believe that generally the simple things in life are the best. I think I just quoted Smiths chips. Or maybe it was Thins. Getting to the point, I found an ordinary campfire proved to be a nice moment where I could just relax and learn a little more about the people who I was spending 24 hours with. My own challenge was being able to complete the hike. My idea of completing the hike is not stopping every 10 minutes to relax and have a nice peaceful water break. Had we done that, I wouldn’t have felt accomplished at the end. I wanted to actually do the hike, face it and hold on to that determination. At the end of the hike I knew I’d overcome that challenge. How was your experience moving from your small hiking group back to the rest of the 9S3 & 9C3 students? Exciting? Overwhelming? I personally found the whole situation to kind of get right up in my face. I admit, I’d have much preferred staying in walking groups. Everything was more relaxed and comfortable, and you had the opportunity to get to know them better. That sounds ironic, because if we were in a big group there would be more people to meet. However, I found most had already found their own little group and it was strange to awkwardly intrude. 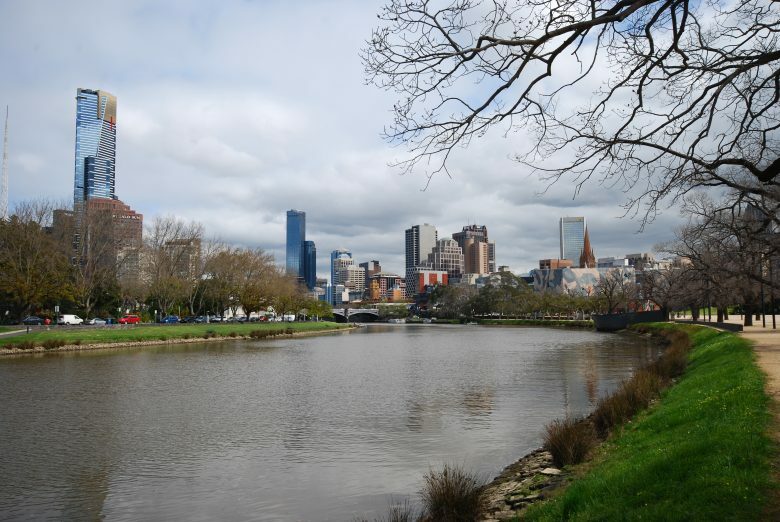 Has your view of the Yarra River & our relationship to it changed at all? In what ways? Definitely. 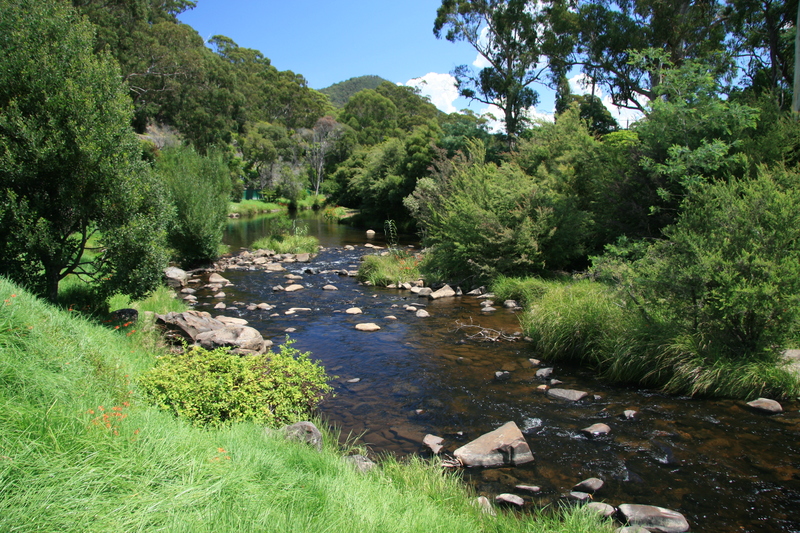 Looking up close at water samples didn’t show a huge difference, but looking at the big picture the difference between the Upper Yarra and the part passing through Melbourne is immense. The lush environment and clear trickling water had somewhere along the way been transformed into a slow, plain and muddy river blasted into the wanted shape, losing it’s natural form. Despite this, the gardens/park around it has been maintained and a few birds can be spotted. The thought of how the Yarra is so polluted is quite depressing and it really makes me more aware of both how I use water and how I can keep it clean. I believe nature shouldn’t be so greatly altered only to suit our needs. All the growth and inhabitance in the upper parts of the river were no longer visible where the Yarra was near Flinders St. Thanks for your reflection Connie. I think you gained a great deal from Galileo camp this term. Well done on overcoming your personal challenges.